Petrol and diesel prices hit a three-year high at the end of December, according to figures from the RAC. And the breakdown organisation has warned that if the price of oil holds onto recent gains and stays close to $70 in 2018, motorists are going to have to adjust to even higher pump prices. At the end of 2017, RAC data show that the average UK pump price for petrol was 121.11p per litre, while diesel ended the year at 123.46p per litre. Both figures were the highest seen since late 2014. A 55-litre fill up for a petrol car now costs £66.61, £3.73 more than it did in July, when petrol hit a 2017 low of 115.02p. The increase is worse for diesel drivers, who have seen the cost of filling up a typical family car climb by £4.64 over the same period. Although the RAC’s Fuel Watch service currently suggests that prices could stay unchanged over the next couple of weeks, I’d agree with Mr Williams’ view that further price increases are likely if the price of oil doesn’t fall back. How can you cut fuel costs? Apart from driving more efficiently, which could reduce your fuel consumption by as much as 10%, there are a couple of other things you can do to save money on fuel. The first is to be careful where you fill up. I’m always amazed at the variation in prices between filling stations, even those quite close to each other. 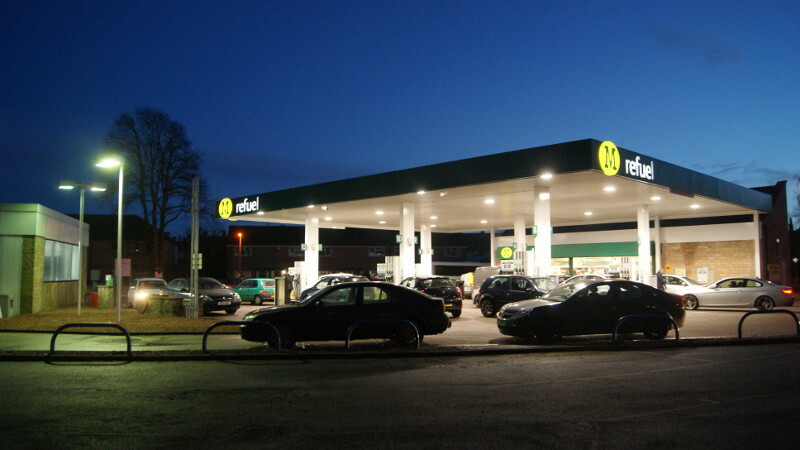 To give an extreme example, on a recent journey from the East Midlands to North Yorkshire, the cheapest petrol I saw was 111.7p per litre, at a retail park with two supermarkets. The most expensive I saw was at a motorway services on the M1, where the garage was charging an eye-watering 138.9p per litre for unleaded. By filling up at the cheapest site (which was on my route anyway), I saved around £10 on a 35-litre fill. That’s not small change. Of course, driving around to find the cheapest fuel is self defeating. You burn extra fuel, so you don’t save any money. That’s why it pays to research the cheapest petrol and diesel prices before you set off. One of the easiest ways to do this is to check the map on our Petrol Prices page. To find the cheapest fuel on your route, just zoom in and click on the flags. Remember to add in the prices you pay to help other motorists find the cheapest fuel.